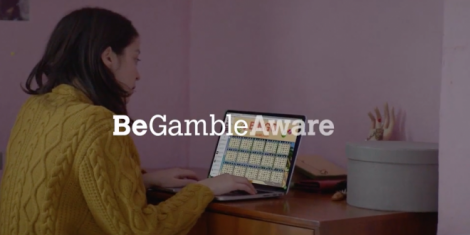 GambleAware launched its first video advertising campaign that promotes awareness of the problem gambling. The online pilot, which is targeted at people aged between 16 and 24, and it will be released on Youtube in the North West and East of England. There are two adverts that have been produced for the campaign so far, online and fruity, each of them has the purpose to encourage conversation about problem gambling among the youth. Recent research found that while youngsters are the least likely to gamble, they are the likeliest to be problem gamblers. There is no question that young people are tough to reach, with Television viewing habits between 16 to 24 year-olds having dropped by 27% during last year, an online campaign has proved to be the best possible option to reach its target audience. The Director of commissioning, Dr Jane Rigbye focuses on treatment and harm minimisation at GambleAware and specialises in the youth in gambling. She stated that their research shows that the youngsters are at a risk of developing problems with control of their gambling behaviour, which makes raising awareness of what starts problem gambling crucial. They have worked to create these ads that they hope will reach the youth at that critical crossroad and prompt them to look for help before their habits become problematic.